Heat guns (also known as temperature guns) may be used to thaw frozen pipes, desolder electronics, loosen glues and adhesives, and more. 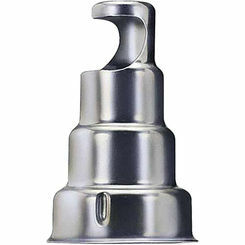 This power tool offers utility in a variety of applications. The temperature capabilities vary from gun to gun, so make sure you get one to match your needs. 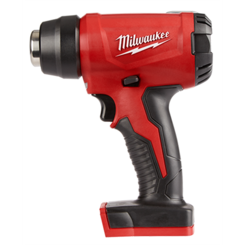 At PlumbersStock we carry both Greenlee and Milwaukee heat guns, so that you are certain to find a tool that is built to last. 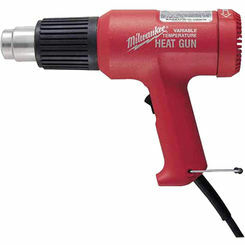 What Is a Heat Gun? Heat guns emit a stream of hot air at temperatures between 200-1000 degrees Fahrenheit which can be applied to a variety of targets. Heat guns resemble hair dryers and are used to heat up certain materials, making them more manageable to work with. For example, a heat gun can be used to soften old paint or putty for quick removal, shrink tubes and films, and sometimes solder materials together (although you’ll need an added attachment for this last one). Heat guns are also ideal for removing adhesives (such as bumper stickers you’re embarrassed to have on your vehicle), thawing frozen locks, drying damp surfaces, and heating frozen copper pipes. You may be tempted to perform these tasks with a welding torch. The problem is a tool like a torch is overkill and can be hazardous. Instead of producing live flames, temperature guns produce hot air that won’t damage the surface you’re heating and won’t start a fire. This makes heat guns the safer source of heat for all your projects, and if that’s not enough, many heat guns also allow the user to manually change the temperature using a dial. In all, heat guns are versatile tools that weight a few, light pounds and come in corded and cordless models. 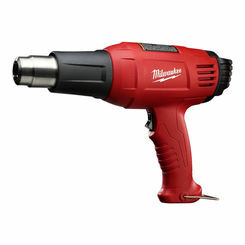 They range from $40-200 on average, making them one of the most affordable electric tools you can keep in your toolbox. When shopping for a heat gun, consider where you’ll likely be using it to help you decide whether you need a corded or cordless version. Keep in mind it’s better to be able to plug in this (and any other power tool) to a direct, unoccupied outlet than it is to overload a busy outlet with an extension cord. 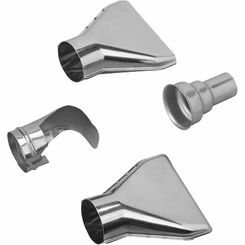 Once you’ve decided between battery-powered or corded, some heat guns come with stands to set the tool up and multiple attachments for the nozzle to specifically direct the heated air. Finally, one of the most important features you’ll want to consider is the range of heat it offers. 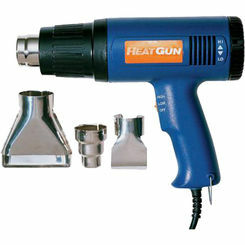 Heat guns are fantastic, versatile tools that can be used for a multitude of different applications around your home. From de-thawing frozen pipes to removing paint, caulk, plastics, and adhesives, heat guns offer a safe and fast way to do your home repair projects. With a heat gun, you’ll never have to worry about scorching the surface of what you’re heating since they gradually soften the material. Additionally, this flameless option allows you to have peace of mind knowing you won’t set your home on fire. 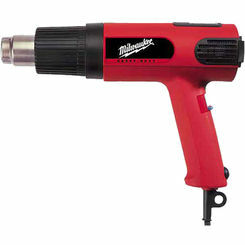 We carry wonderful specialty power tools.